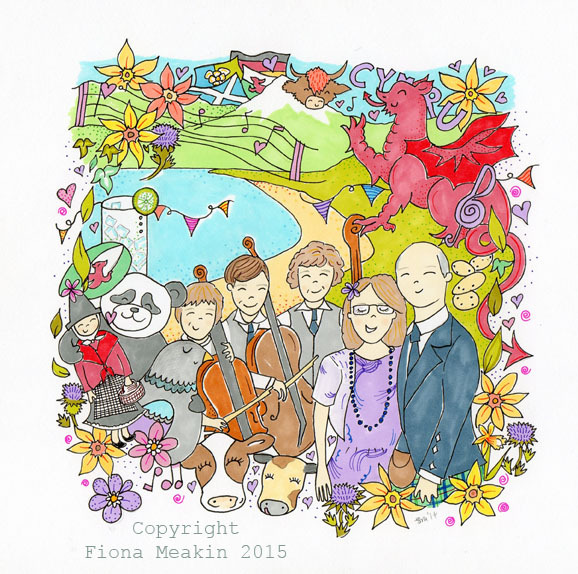 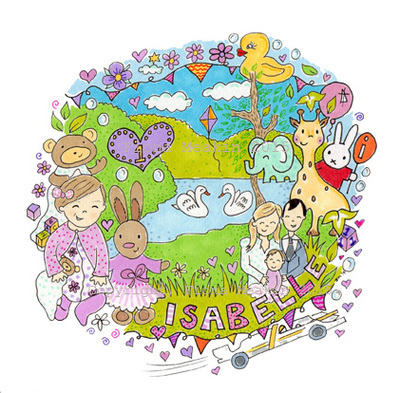 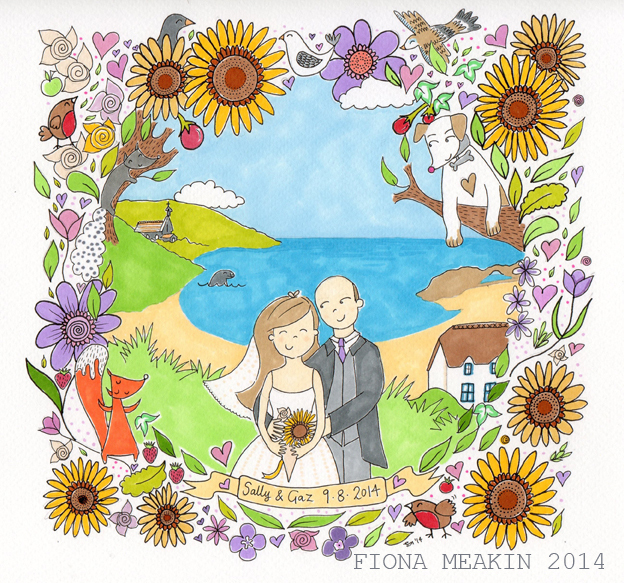 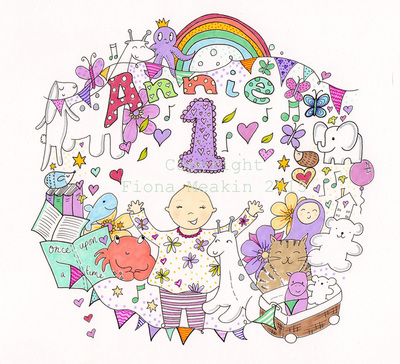 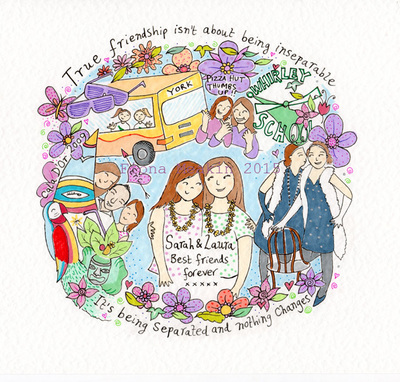 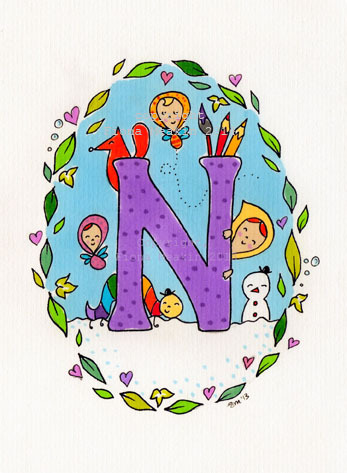 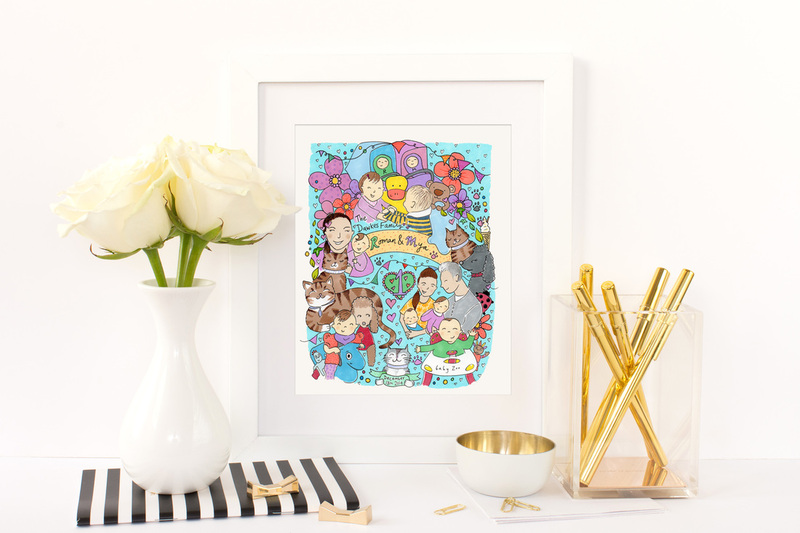 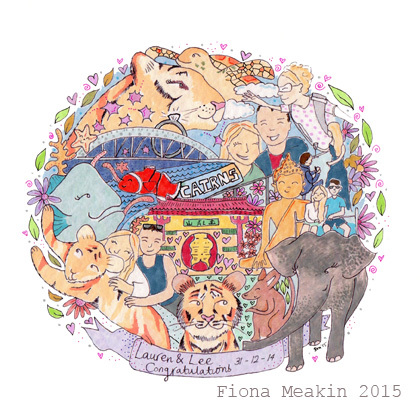 This page is dedicated to my passion for creating bespoke illustrations especially for you and your special occasion. 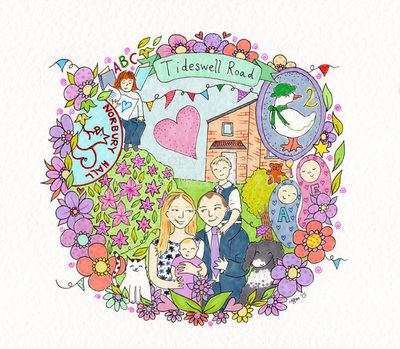 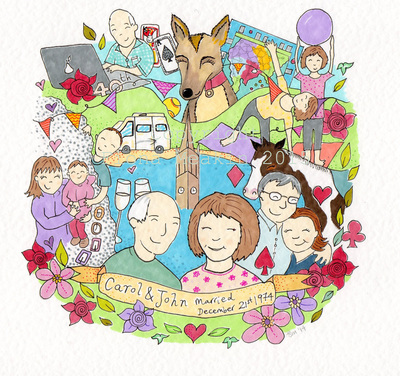 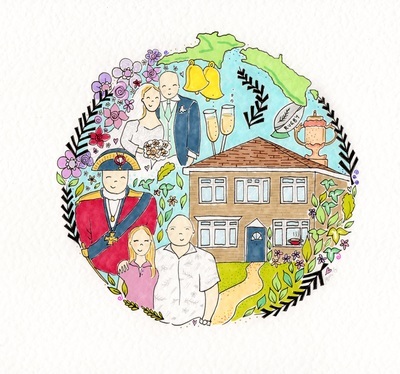 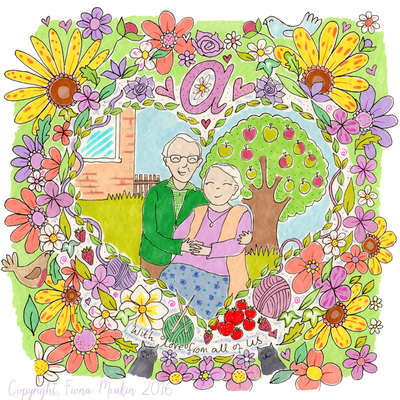 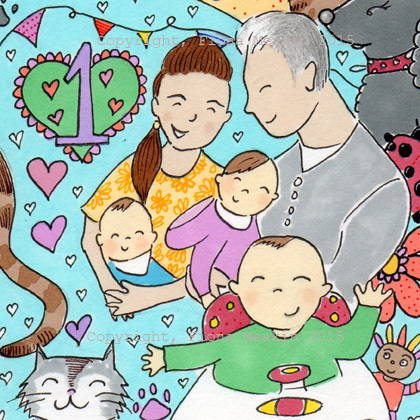 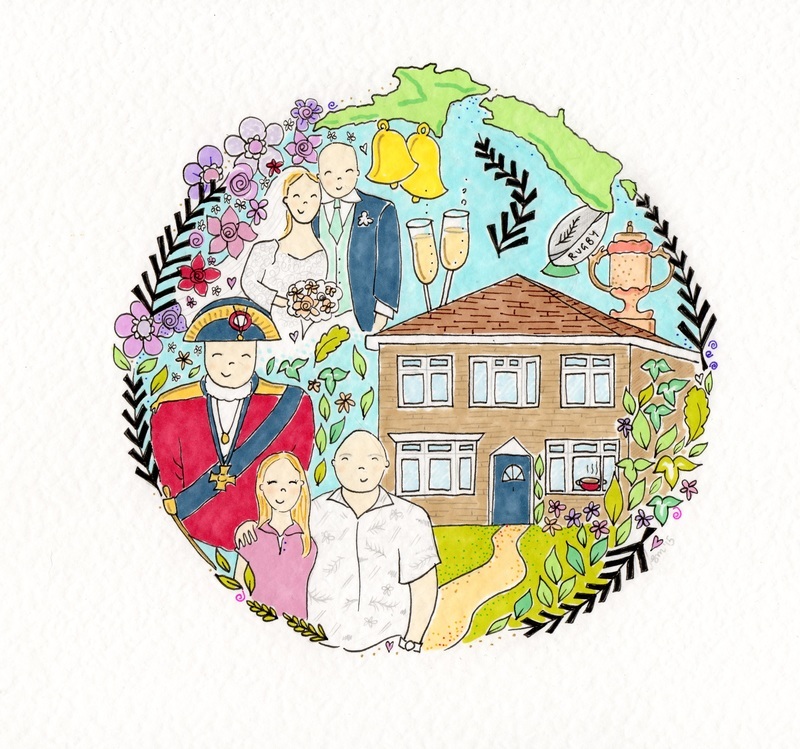 I feel really honoured to be able to create pieces that celebrate family life and special events, which began when my grandma commissioned me to make a card for my auntie's birthday. 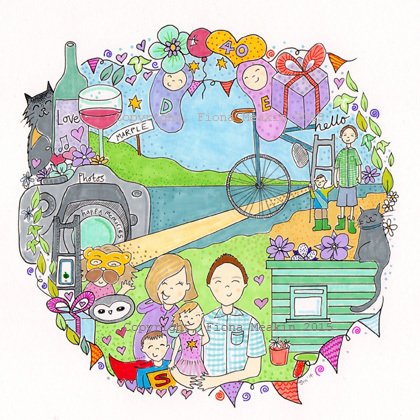 Since then I have been asked to create many more which I am over the moon about. 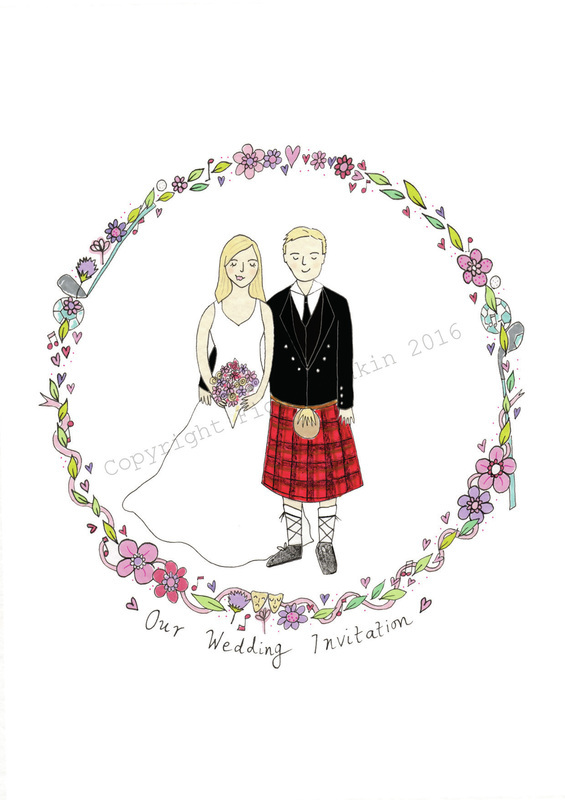 Below are a selection of examples for you to look through. 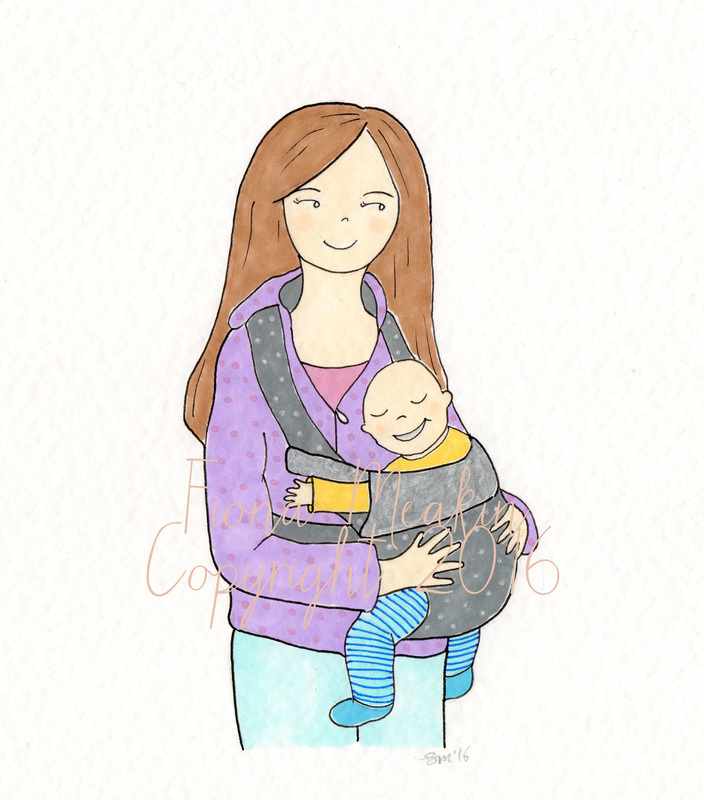 I hope you enjoy viewing them as much as I enjoyed drawing them! 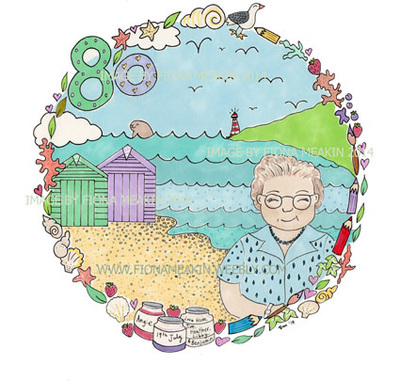 All images, text, photographs and ideas represented on this website are copyright of artist Fiona Meakin, © 2007-2016 and may not be used without written permission of the artist.